Liverpool Football Club will again show its support to Stonewall's Rainbow Laces campaign this week. The Rainbow Laces initiative aims to make sport everyone's game and ensure that LGBT+ supporters feel welcome and included, with a three-week campaign seeing national teams, leading clubs, top athletes, fans and grassroots players from across sport show their support for the LGBT+ community. Sunday's Merseyside derby against Everton at Anfield will be LFC's official Rainbow Laces fixture. Before kick-off, rainbow flags will be carried onto the pitch by local schoolchildren, ahead of Reds boss Jürgen Klopp, who will lead out his team wearing Rainbow Laces. Rainbow colours will be visible throughout the game, with the Premier League's bespoke rainbow-branded ball plinths, pitch flag, timing boards and LED boards incorporated at various points. And, throughout this week, LFC Foundation coaches will be setting an example to young football fans by wearing and giving out Rainbow Laces during LFC Foundation Kicks sessions. "Equality is clearly a key theme for our club, so it's great to see LFC supporting Rainbow Laces again this year, helping to make the football environment more inclusive," said Paul Amann, founder of the LGBT+ fan group Kop Outs. 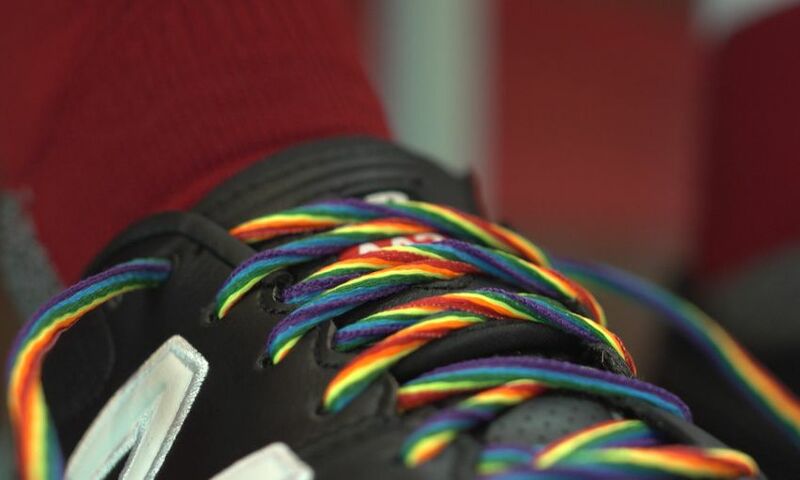 Simon Thornton, the club's equality and diversity officer, said: "We're proud to be supporting the Rainbow Laces campaign again this year and to be able to help promote inclusion, equality and diversity in sport. This is something that the club is really passionate about and an area where we continue to advance." For more information on the Rainbow Laces campaign, please click here.